I was here: To be continued in Manchester – Go ask Alisa – DIY capsule wardrobe one stitch at a time! So continuing our tour around Manchester I shall say that there are plenty things to see and discover, so get your cameras charged and get your feet in those Crocs and lets roam around the capital of North. 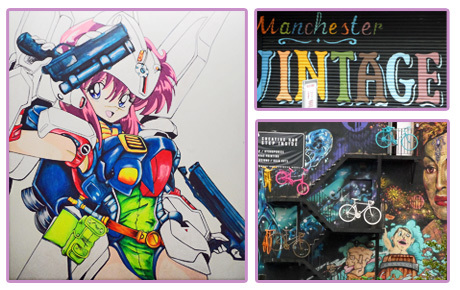 Previously I introduced you to Piccadilly Gardens and Arndale market, some little bargain hunting places as well; by now it is time for Northern Quarter. So pick nr 3 it is. I already mentioned Northern Quarter on my blog previously: it is a very historical part of the city, with the touch of vintage vibe, bohemian lifestyle and a very alternative view. I really shouldn’t say that in order of not getting anyone offended, but Manchester itself is not too big of a city. It definitely is a Northern Capital, but in comparison to the other cities where I had a pleasure to live – Manchester seems nice and cosy. Alongside with Northern Quarter my attention was caught my local China Town. Colorful place where to be, good and delicious food, and prices make you smile. Back to the Northern Quarter. Where to have a snack in style – 50 shades of Earl Grey tea and at Leo’s fish bar. First one is a lovely breakfast tea place, a bit pricey (4 pounds per tea pot) but it is well worth it. Wide selection of teas, and oh! those amazing cakes and flapjacks will fascinate you. Besides, with every special selection tea pot they bring over an hourglass that will measure for how long shall you brew your tea so it is exactly up to your taste. Lovely place, enjoyed atmosphere and staff is very welcoming. So you might consider! The second however is very traditional British, but a bit more upscale than usually. Probably the most stylish fish&chips place I have ever seen or visited. Leo’s fish bar is very convenient in location, and very very clean (oh, God, I value that so much) besides I have a couple of 10% coupons for discounts, if anyone needs – just let me know. You wont believe, but while I was peacefully discovering Northern Quarter again and again I found a place called The Rubber Plantation (see photo of a pink condom above). Yes, now it reminds me of Soho. All sorts of adultery needs and khem, khem… things that are not meant to be discussed in public (at least on my blog) can be found in THAT district of Rubber Plantation. Just so you know. This photo below: Russian friends will understand. 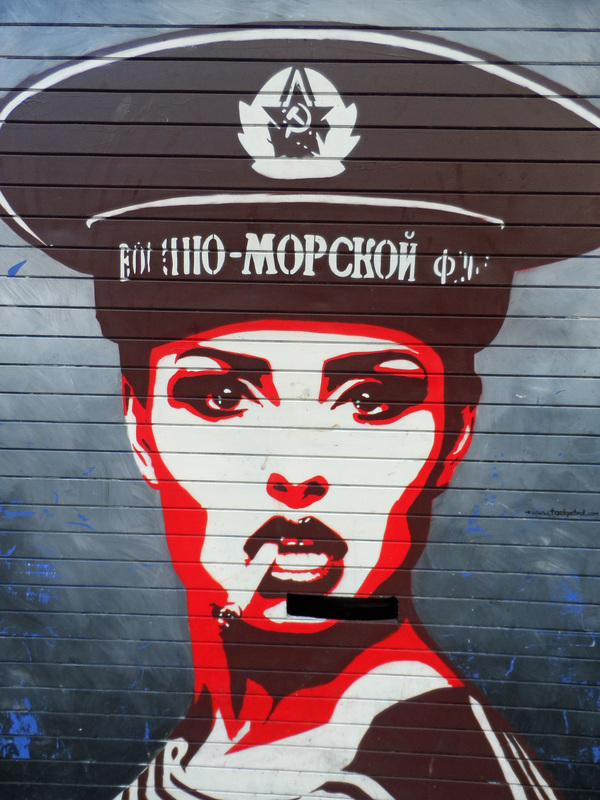 Also found here: Manchester, Northern Quarter. 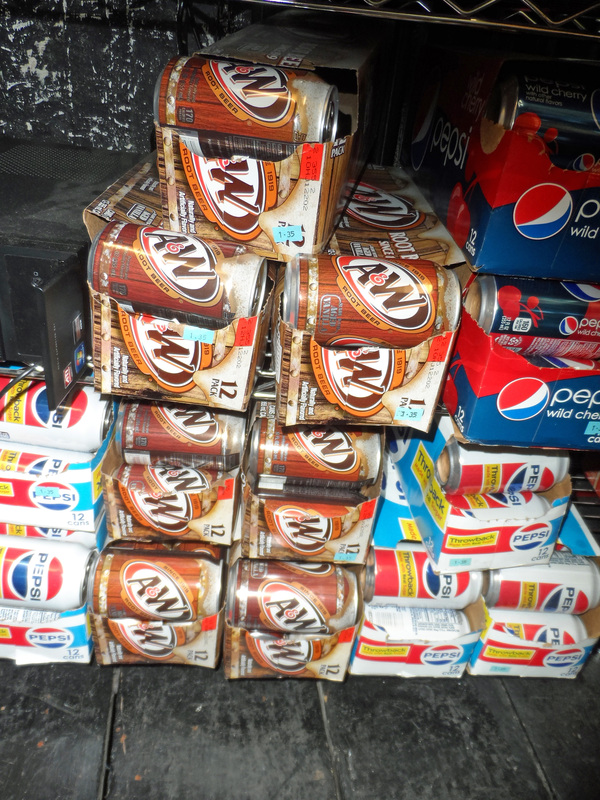 Craving for some American treats? Northern Quarter has it. All sorts of pop, and root bear, and candies, and all-time pop tarts. Yes, it might seem like 3 destinations is not enough to feed your curiosity for Manchester, but trust me – it is more then enough for 2 full days of exploring the city. 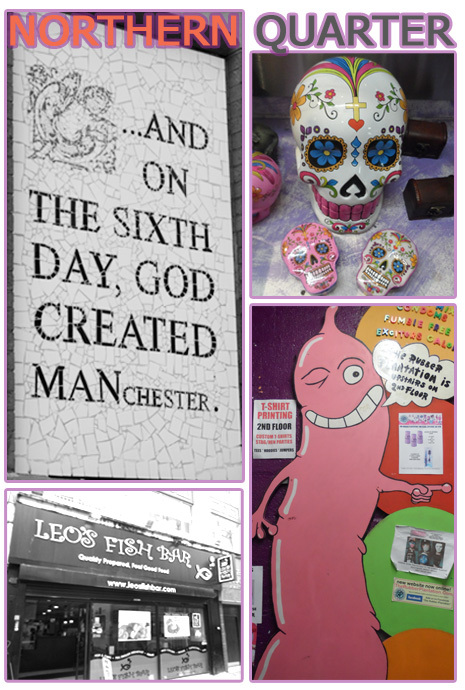 Enjoy Manchester as much as I did and go Vintage in Northern Quarter! Previous Previous post: I was here: Go vintage in Manchester or go home! Next Next post: Dressing up: Rock your harem pants!